As we announced yesterday in celebration of St.Patrick's Day 2014 we will be featuring some of the BEST Irish pubs & restaurants around. It's all a part of our "Feast of St.Patrick" series and we are kicking it off now with Mick O'Malley's Irish Pub! Don't be intimidated there is good food and good times to be had behind those doors. We walked into a cool, party like atmosphere on Saturday night. Mick O'Malley's has live music on Saturdays & Sundays after 3pm. The band was awesome! Hilarious and engaging you couldn't help but smile when they took the stage. We devoured some truly exceptional meals while jammin' to covers of The Pogues & Steve Earle all night. Our verdict? This is an EXCELLENT place to celebrate St. Patty's day! For entrees we shared flash fried lemon pepper squid with aioli, Asian dipping sauce, and lemon. Ordering squid can be a bit of a risk sometimes...there is nothing worse than tough squid. 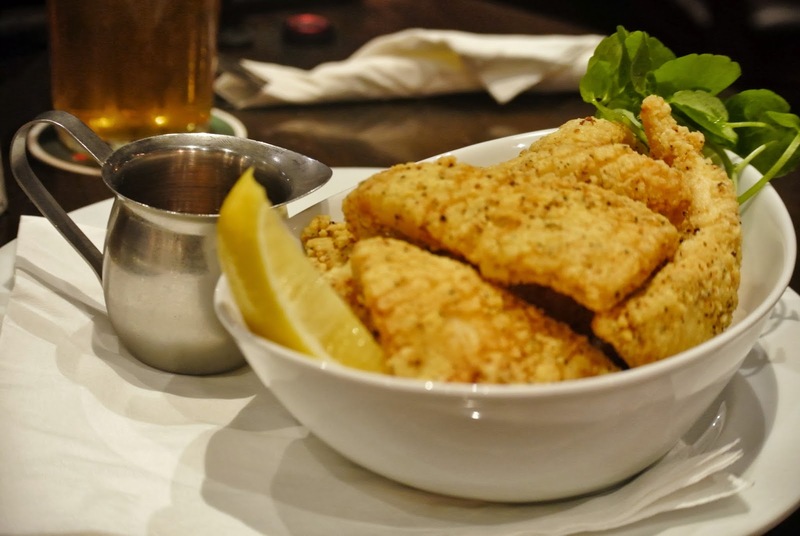 We are happy to report that the lemon pepper squid at Mick O'Malley's was perfect! So tender and juicy. The portion was a nice size, great for sharing. 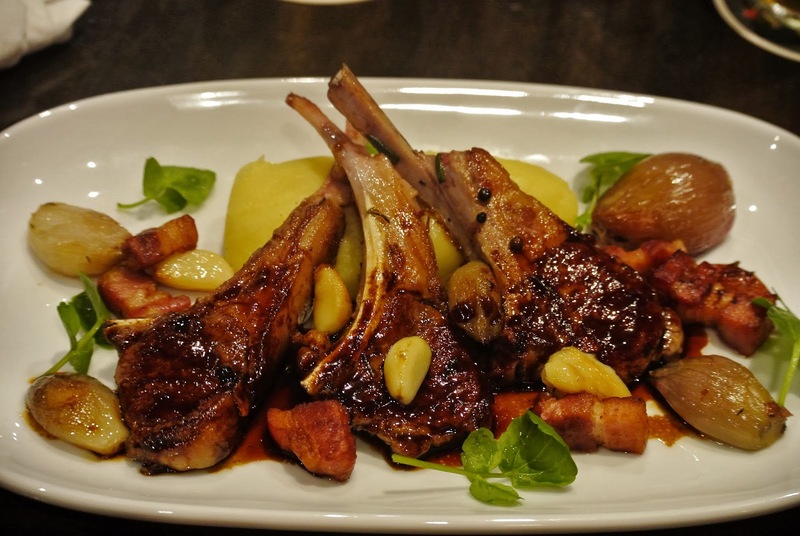 For one of our mains we had grilled lamb cutlets served with mashed potatoes, confit shallots and garlic, and roasted pancetta. This dish was mouthwatering. The lamb literally melted in your mouth... full of deliciously, complimenting flavors. I'm in love with those creamy mashed potatoes. It was the epitome of comfort food. 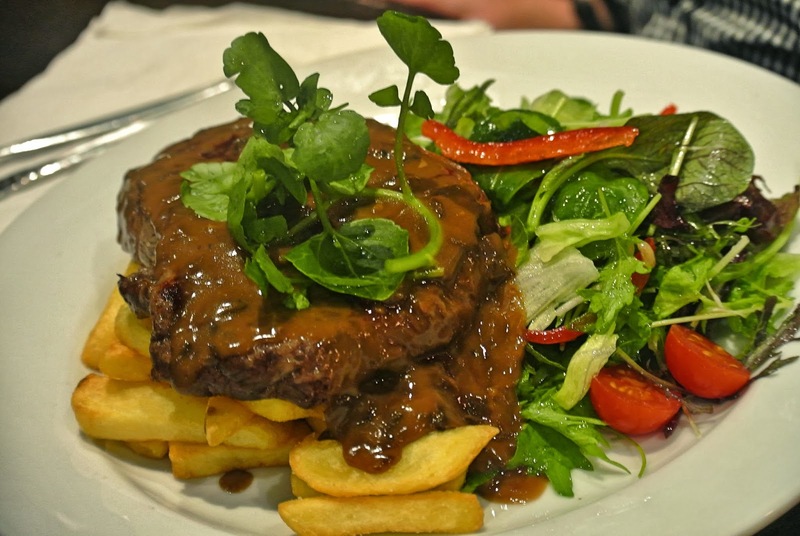 The last dish we tried was 300g grain fed rib fillet in a mushroom sauce, with chips & salad. The rich, savoury mushroom sauce went beautifully over this thick, juicy cut of beef. The sauce is so tasty you'll want to mop up every bit of it with your chips. We like our steaks medium rare and this was cooked to perfection. Drop whatever preconceived notions you have about "pub food" - they are serving up quality meals at Mick O'Malleys. The service was wonderful. The kitchen at Mick O'Malley's is a well oiled machine! Everything came out in great time. The portions were so large, and filling. Great value for money. The dessert menu looked so tempting but we knew the walk to the car park would be a struggle if we ate anymore. All of the meals available on the new autumn menu at Mick O'Malley's so go give them a try for yourself! We had a great time at Mick O'Malley's and it is without a doubt one of our top picks for St.Patrick's Day 2014. The guys at Mick O'Malley's are having a week long celebrations jam packed with fun events- including music, darts & ring board competitions, trivia, and some pretty good drink specials! They even have "Recover Day" specials for the day after St.Patrick's!